Your car doesn't need to be showroom clean all the time, but you do need to keep it reasonably clean and tidy. Consider how clean you would expect the car to be if you were borrowing it, and try to keep your car in that state ready for your Borrowers. Keep a bag or small bin in your car, and take any rubbish with you after each trip. Put a bottle of soapy water and a cloth in the boot, for quick and easy spot cleaning. Re-fill the windscreen wiper solution, and give the windscreen a quick clean with the squeegee when you refuel. Get a hand-vac for quick interior cleaning. If this is not feasible, make sure you have an extension cord for your home vacuum. If that doesn’t work either, find out where the nearest self-serve carwash is, and swing past regularly to do a quick vacuum. Log in and select 'Useful Contacts' in the top right menu to find a recommended cleaner offering discounted rates for Car Next Door members, if you'd rather delegate the job to a professional. 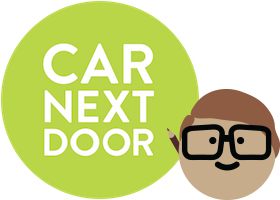 A number of mobile car cleaners and mechanics offer special discounts to Car Next Door members. Log in to the website (not app) and look under 'Car care services' to find the details. Thanks to Fred the lockbox, you won't even need to be home when they come. Smoked-in cars smell really bad, and generate a lot of Borrower complaints. Please don’t smoke in yours (or let your passengers light up). If you carry animals in your car, please include that information in your Car Profile (some people are allergic). If you want to allow other members to carry their pets in the car, then you can nominate it as ‘pet friendly’. How long does it take to get regular bookings? Can I get a dedicated council car space for my car?